David Adams Richards, Anchor Canada, 2009 pp. 166. This award winning Canadian author is best known for his fiction work, The Friends of Meagre Fortune and Mercy Among the Children. While questions of morality and faith show up in his fiction, in this book he tackles such questions head on in an autobiographical context. 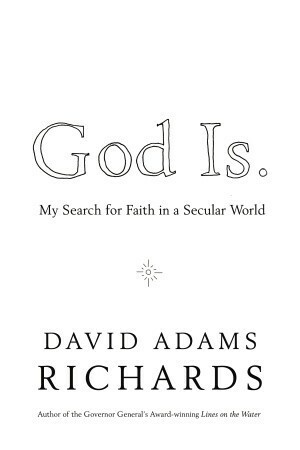 This insightful work is a foray into the recent debates about God and the realities of a religiously plural world. Informed, intelligent and beautifully crafted, the reader will be well rewarded by engaging the crisp insightful arguments of the author and by entering into the many stories from his own journey that he draws upon.